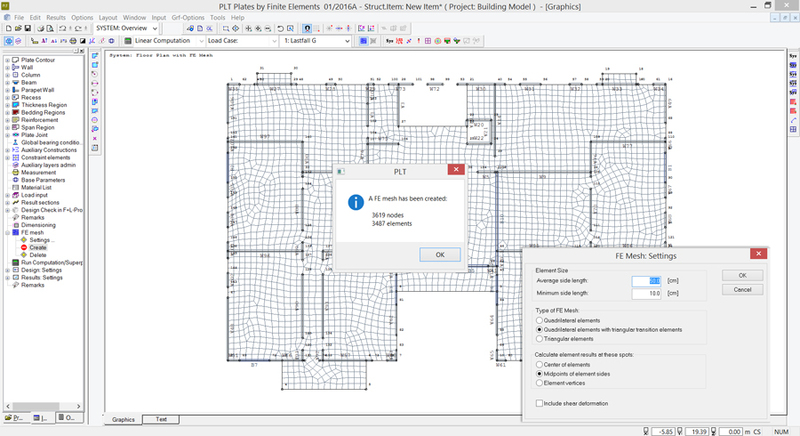 The PLT application is intended for the analysis of plate structures of any kind according to the finite element method. 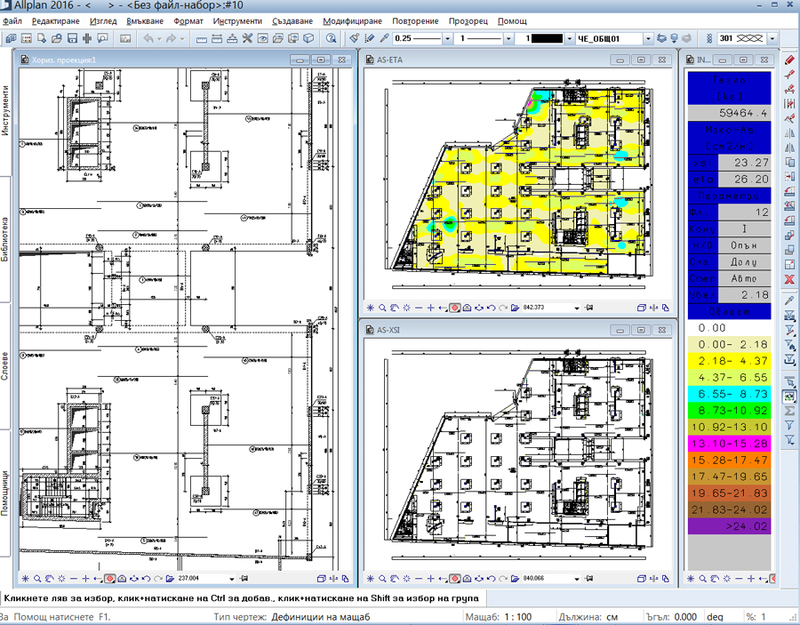 The powerful graphic user interface provides numerous functions for the fast and efficient processing of this complex calculation model. Calculation of any plate whether susceptible to torsion or not. 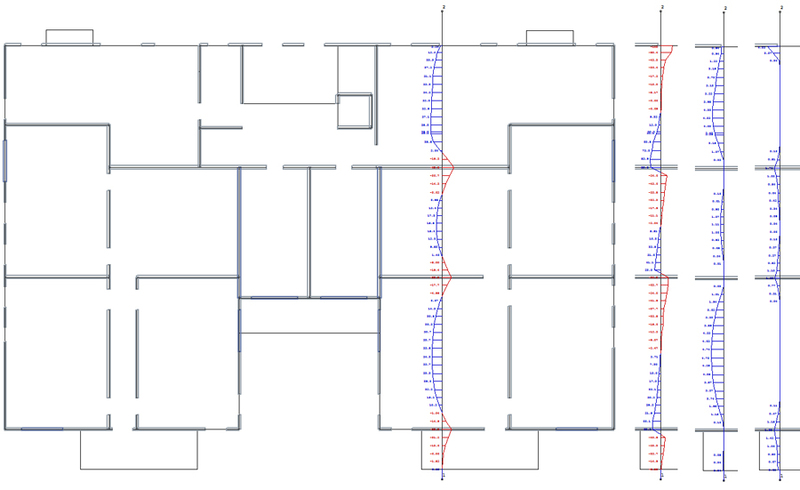 Point or line supports are generated via the objects column and wall, whereby the application automatically calculates the real rigidity values, if the corresponding option was activated. There are several representation options for the bearing reactions at walls, either in the form of various diagrams in kN per linear metre or in the form of points along the wall axis. 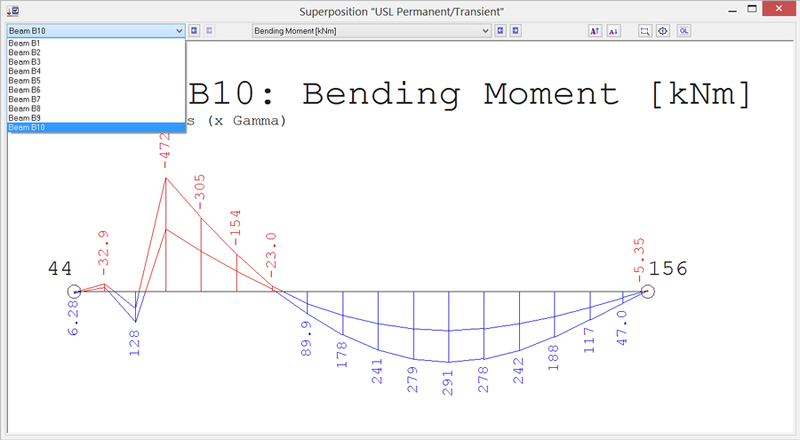 You can optionally include tension spring failure for columns and walls in the calculation. You can define single, line, distributed and temperature loads in any layout. The automatic mesh generator allows you to generate meshes with triangular and rectangular elements as well as mixed meshes. The plate elements include displacement and stress approaches. A considerable benefit of these socalled hybrid elements is their accuracy with thin plates that are frequently used in building construction. Alternatively, elements in accordance with the Reissner-Mindlin theorem are used for thick plates. They include the shear deformations. The PLT application includes a fully automatic superposition feature that takes the selected regulation into account. The user can exclude particular load cases from the superposition. Each load case is assigned to a group of actions. On the basis of this assignment, the application calculates the decisive load combination including a corresponding leading ation. You can optionally perform the calculation with alternative load cases. T-beams are considered by adding the rigidity terms along the beam axis. Since the plate elements do not include normal forces, the gravity axis of the beam elements is assumed to lie in the plate plane. The rigidities are calculated using Steiner portions. The beam rigidity can be increased by entering a factor. The design of the reinforcement is performed in accordance with the Baumann method. A cracked plate element is used as a model. The design approach assumes an orthogonal mesh reinforcement. The reinforcement direction is freely definable. The shear design is based on a bar structure model whereby the longitudinal reinforcement is taken into account. You can define by default any longitudinal reinforcement over the total plate outline to accelerate the analysis. The results reveal quickly where shear reinforcement can be avoided by increasing the longitudinal reinforcement. All results are shown at any grid point or along sections independently of the generated element mesh. The section representation also includes an overview of all results at a particular section. You can also display the results in the form of ISO lines. Reinforcement data are transferred in an open data format referred to as ASF. The use of these data in the target system is independent of theavailable system functions. The ASF format allows the transfer of all data produced in the FEM calculation. 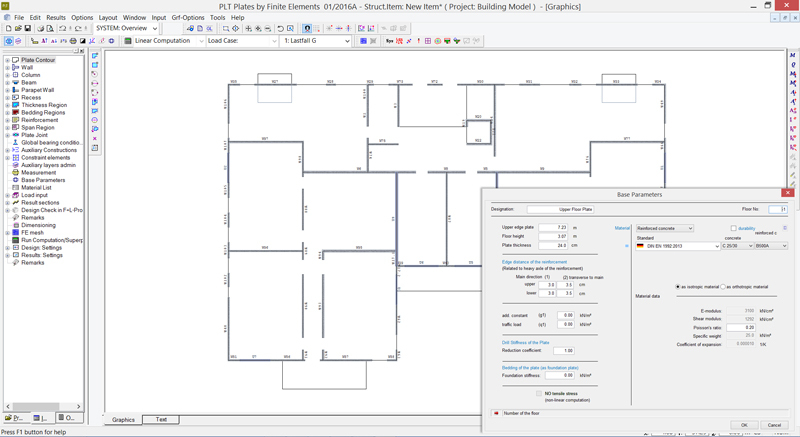 These data provide for the visualization of all results in the CAD system ALLPLAN.